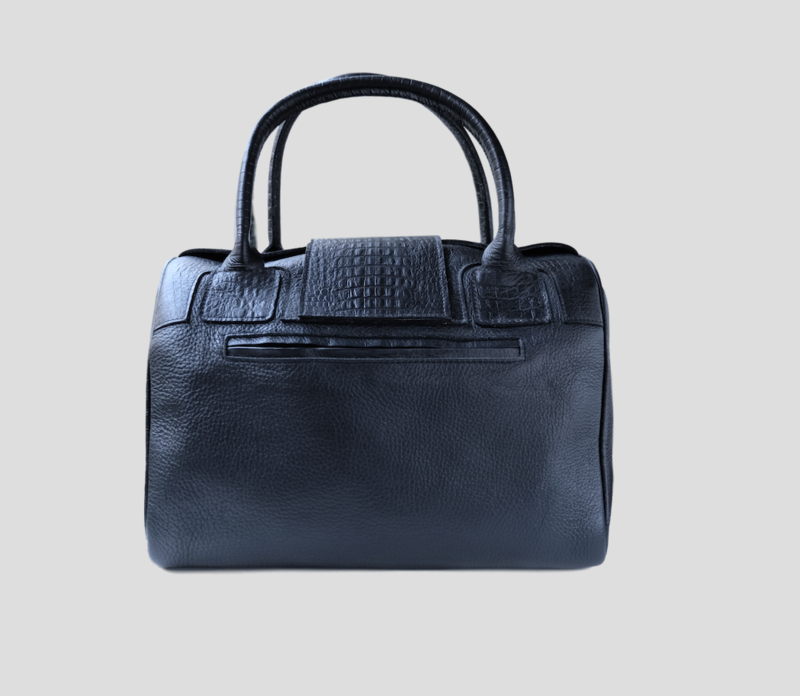 Mateo Oker was designed and crafted by ESTEFAN, the brand behind the Mateo Collection. 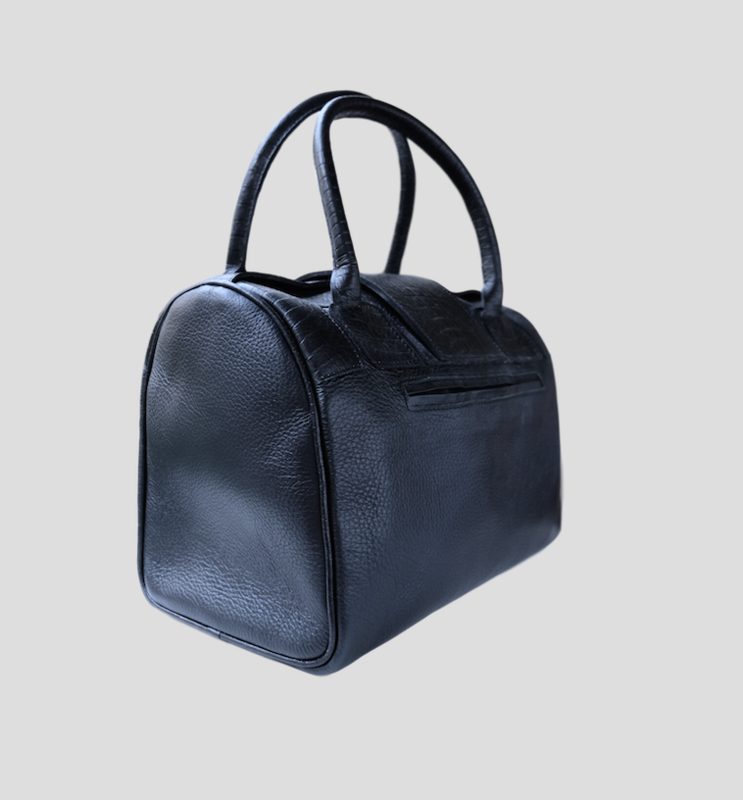 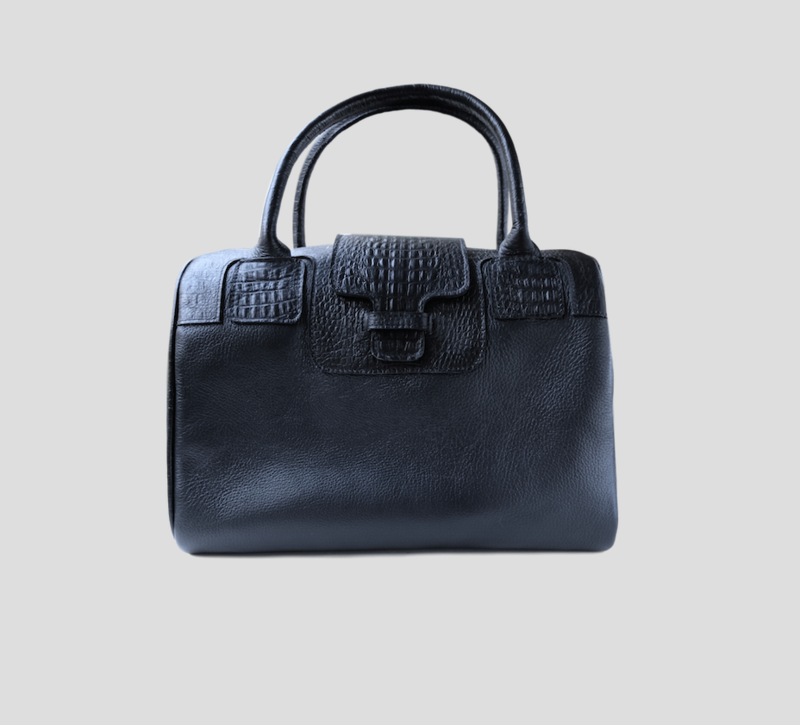 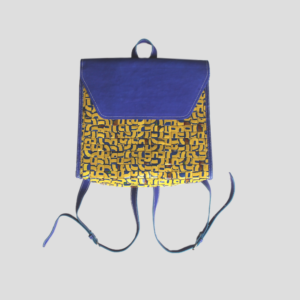 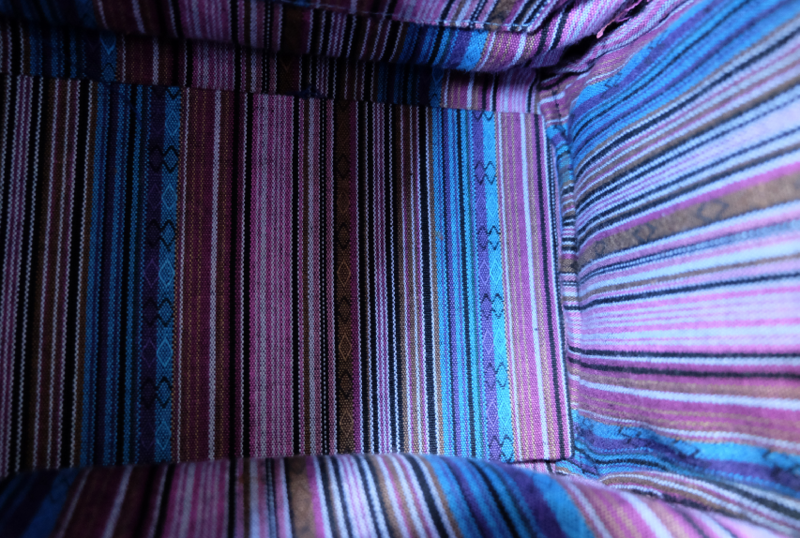 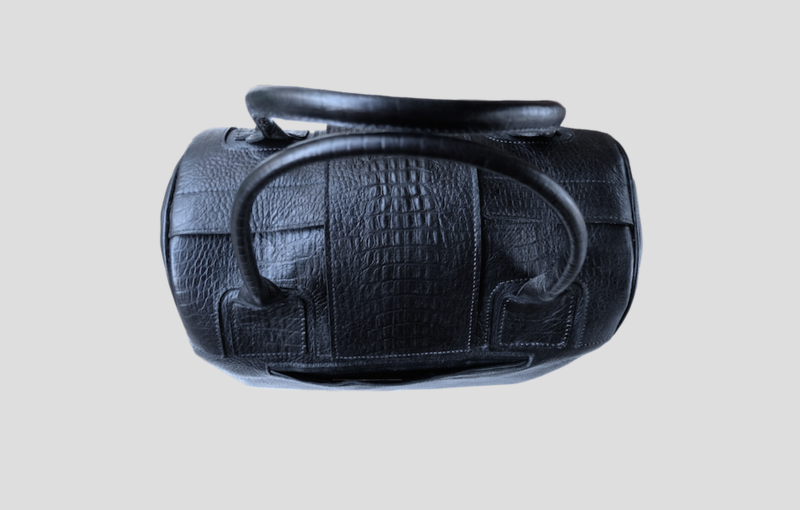 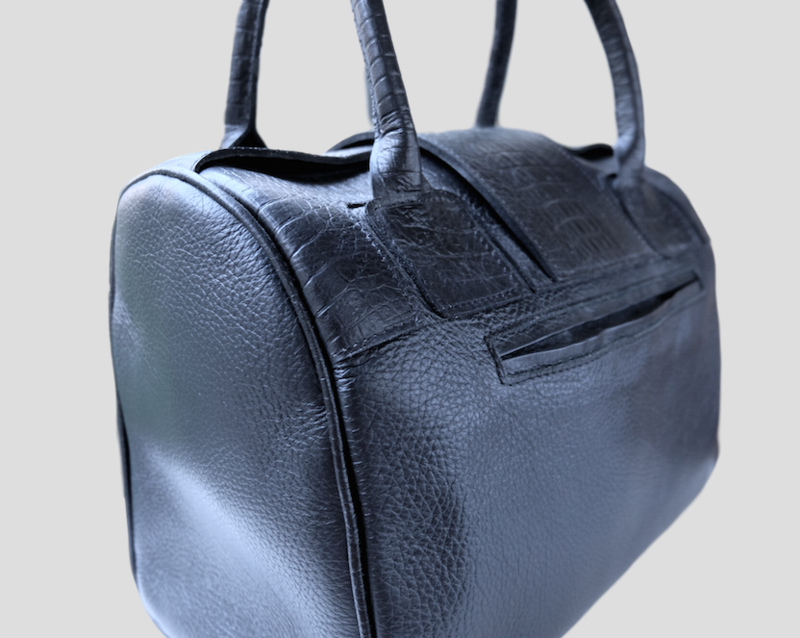 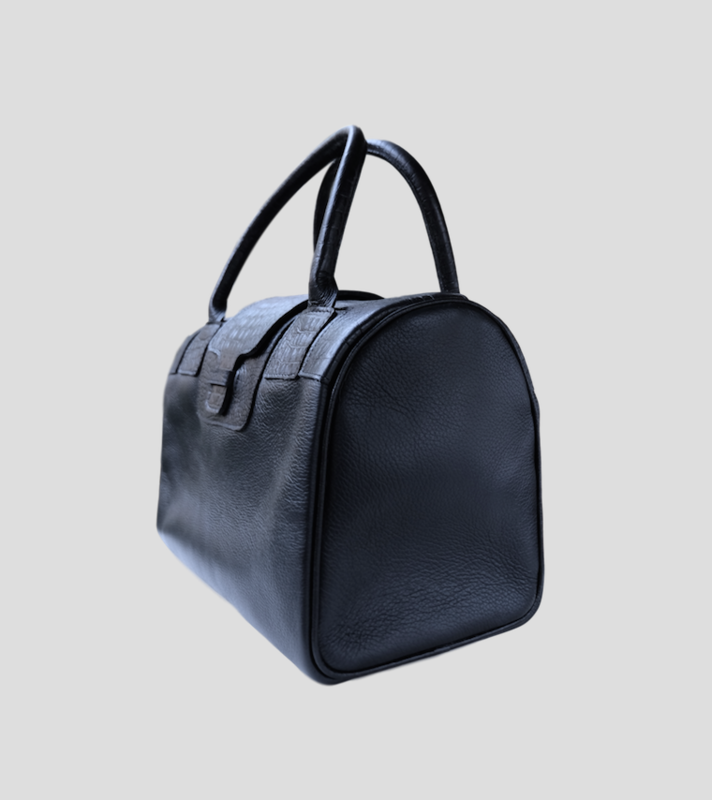 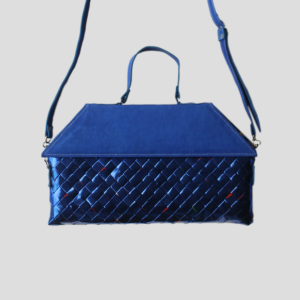 Its exterior is a mixture black leather [crocodile print] with a colorful interior of handwoven textile, containing one big inside pocket, and two smaller pockets. 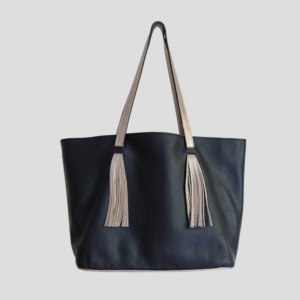 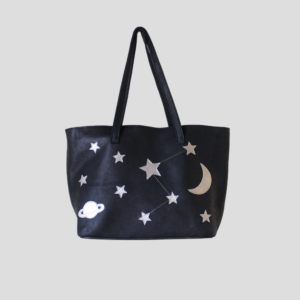 There’s another pocket on the exterior, making this a very practical handbag.